I thought the overall premise of this book was different, if not unique. I haven't read a novel written as letters to fallen entertainers before, so I was particularly intrigued. To keep things honest though, I didn't connect with Laurel right-away, but as I continued to read and learn more about her, I grew to like her. The author didn't give us much as to why Laurel blamed herself for May's death until further down, but I liked how she held my interest. 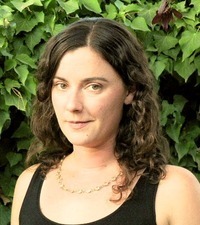 Laurel was writing about her everyday life (starting high school, finding new friends, developing a romance, missing her mother and feeling guilty about her absence as well, and also with going back and forth from her Aunt's place to her dad's) to people like Kurt Cobain and Amy Winehouse. I liked her outlook on certain things, how she approached these celebrities in an open-mind. It was all thought-provokingly well written. Other things I enjoyed was the interpretation of songs, and the value of music in Laurel's life pertaining to her sister, among other things. I also liked the blossoming romance with Sky, and the fact that he let her go and returned to her was so touching. Because its never easy for anyone to open up about the pain they're going through, and the tears they shed that leaves the outside world baffled. But I applauded Sky for finally getting it out of her, letting Laurel understand he cared about her and wanted her to know she could trust him. Let's talk minor characters, which rarely weren't minor. I thought Natalie and Hannah were pretty strong contenders to be read as major protagonists because each had a lot going on throughout the story. Both had emotions that needed to be dealt with, and Hannah had an oppressor she needed to get away from. As for Aunt Amy, the religious relative, I saw her intentions and how she wanted to keep Laurel from harm. At times Laurel was overwhelmed, but she never spoke up about it until towards the end. That's the kind of person she was, never really speaking her mind, only keeping things inside. And that's another problem caused by the guilt she felt. Laurel admired her sister so much it seemed she lived in her shadow and didn't really have a life of her own. Laurel's mom seemed like a trip to me. For the most part, she was in the story by phone calls, and each time she came, I was annoyed with her. Like Laurel, I thought she abandoned her daughter because she couldn't handle what happened to May. Basically, she ran away from her issues instead of working on them, good thing Laurel started to express her feelings. As a result, her mom made the decision to return home and cope with it. The dad was all right. He didn't grab as much as I'd like him to, but his character was nice having around. In the end, I liked how the story wrapped up, with May's death being explained, and why Laurel felt guilty about it. The reader finally gets to learn about the devastating experience she'd been through. And I believe, in letting it all out, Laurel finally stopped living like her sister and started to live for herself. 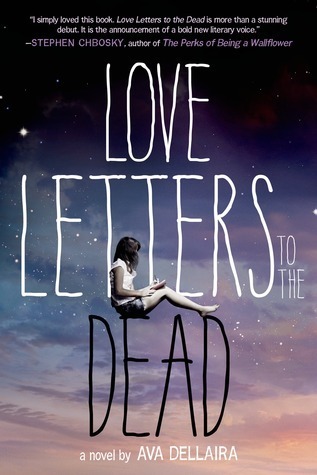 Like I said, Love Letters to the Dead is well written, different, intriguing, captivating, you name it. It's really worth the read. A brilliant debut from a talented author. Can't wait to read her next novel. This is definitely one I cannot wait to read! I've seen this one around, and I wasn't sure if I should give it a try. But I am loving the sound of the book and the characters. Definitely will have to put it on my TBR list! I definitely like the idea that music's incorporated into this book. I was approved on NG for this but I could never open the file so that didn't really work out D: But I'm glad that you liked this one, I may have to buy it when it comes out because I love that cover. Great review! I have been so curious about this book from the moment I first heard about it -huge Kurt Cobain fan, here. I'm glad you mostly enjoyed LLftD, despite not initially connecting with Laurel. Thanks, Drea. I like Kurt too so that's partly my reason for reading the book. Glad I liked it. This one sounds really haunting and different, and I'm glad everything wraps up in the end. Lovely review Shane! Great review. This sounds like a good book. I thought this could be a really sad book but after reading your review, it seems like Laurel learns to release herself from the dark past and be okay with what she still has. Loved your review, Shane! I'm so looking forward to reading this book! Great review, it's only gotten me more excited to read it - thanks.